Great morning spent filming the Entertainment One exclusive Drama Preview 2016 at Picturehouse Central today. 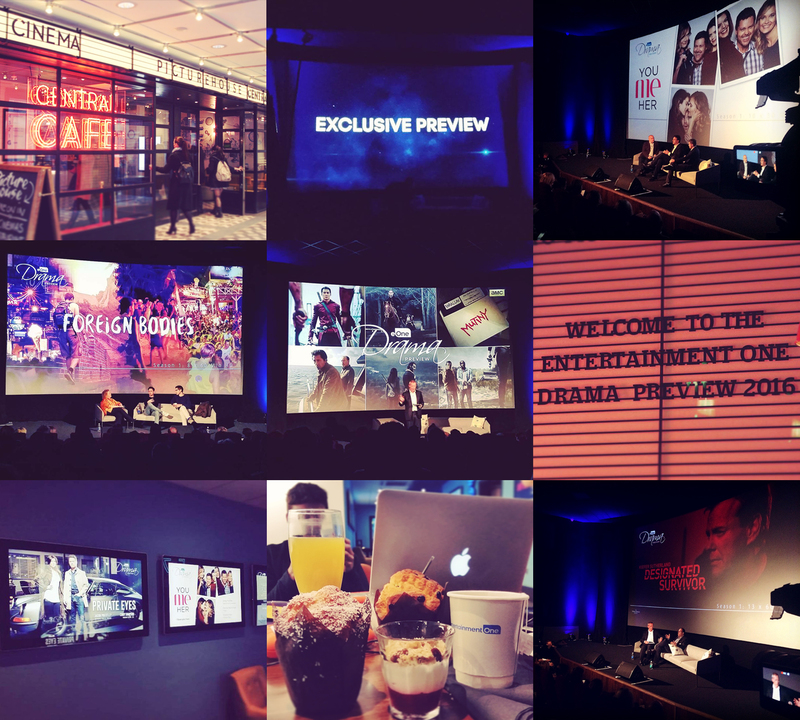 It was a fantastic opportunity to see the showcases for some very exciting and interesting new tv dramas that will be coming to our screens soon. A quick vote round the JKP crew after the event and the all round first choice to watch went to Designated Survivor starring Kiefer Sutherland. Created by David Guggenheim it centres around a low-level cabinet member who is suddenly handed the presidency after a catastrophic attack during the State of the Union address kills everyone above him in the Presidential line of succession. Other upcoming dramas showcased earlier today included You Me Her, Private Eyes, Foreign Bodies, Cardinal and Ransom. It’s always great to be able to cover such interesting events and we look forward to seeing them when they are released!